Does anything work in the UK? The customers of Lloyds have been affected by an online banking glitch that is preventing access to accounts. 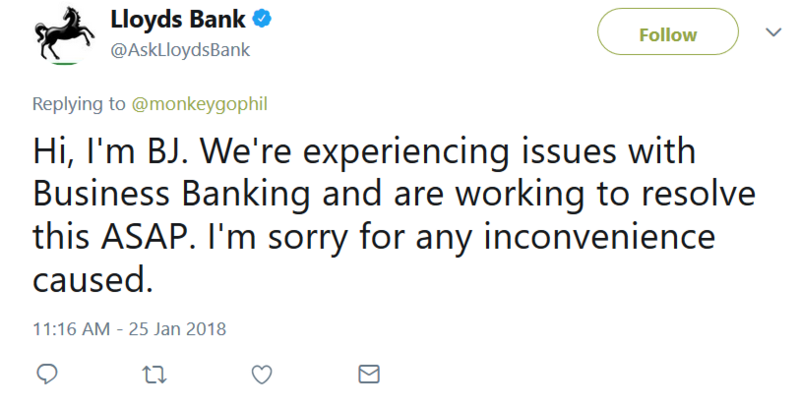 On Twitter, the bank say there are issues with its “Business Banking” service. The bank adds that it is also “aware of an issue preventing our business customer logging on with their card readers”. As is usual, the bank has no idea when the problems will be resolved. All this is nothing new. As reported in August 2017, the customers of Lloyds, Halifax and NatWest were all affected by an online banking glitch that prevented access to accounts and making payments disappear. If you need another example, or like feeling depressed, then in January last year, customers of Lloyds, Halifax and TSB were unable to access their online accounts after a major outage.